(Photo courtesy of Paramount Pictures) "A Quiet Place" supervising sound editors Erik Aadahl, left, and Ethan Van der Ryn. Some questions are doomed to arise time and time again: Why is the sky blue? Is a hot dog a sandwich? What’s the difference between sound editing and sound mixing? If the last one doesn’t cross your mind nearly as often as the others, congratulations on being normal! But if it does, you’re not alone. The question never fails to pop up in the weeks before the Oscars, perhaps the most high-profile event at which the craftspeople are honored. So to put the matter to rest, we chatted earlier this month with the teams behind a few films that on Tuesday received nominations in the sound categories: “A Quiet Place,” recognized for editing; “A Star Is Born,” recognized for mixing; and “First Man,” recognized for both. Everyone answered with an analogy: If sound editing is like composing music, designing a set or collecting materials for a house, they said, then sound mixing would be like conducting that music, filming on that set or actually building the house. Editing involves creating and gathering individual sounds; mixing is what happens to them afterward. And by "individual sounds,” we mean almost all of them. Dialogue is frequently the only sound captured on set, so everything else, such as footsteps or blowing wind, is recorded separately and layered in postproduction. Here’s a closer look at that creative process. 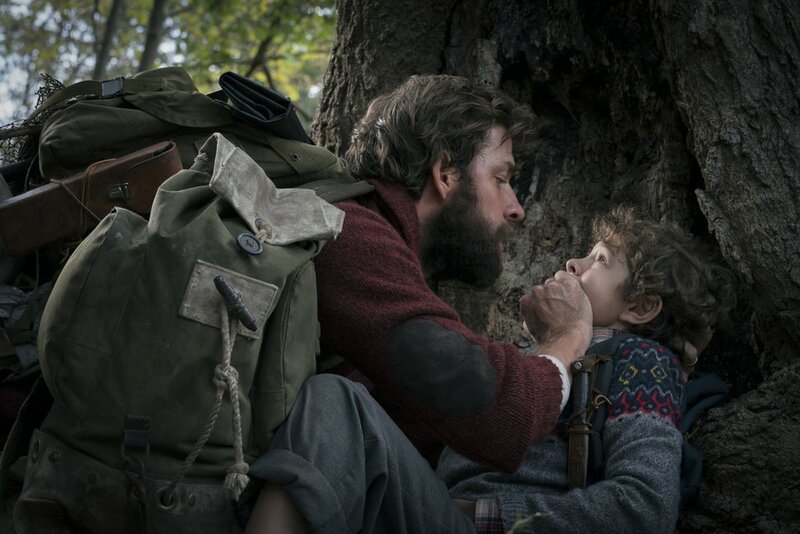 (Jonny Cournoyer/Paramount Pictures via AP) This image released by Paramount Pictures shows John Krasinski, left, and Noah Jupe in a scene from "A Quiet Place." Krasinski’s celebrated mostly silent horror sensation “A Quiet Place” got only one nomination for Marco Beltrami’s score. Krasinski was expected to be a bigger player, for director, screenwriting, and even acting alongside his wife, Emily Blunt. Erik Aadahl and Ethan Van der Ryn, the Oscar-nominated supervising sound editors for “A Quiet Place,” needed to figure out what sort of noise the blind monsters in John Krasinski’s post-apocalyptic horror flick would make. They knew from the script that the creatures hunt by sound and therefore decided to mimic echolocation clicks. But something about dolphin and beluga whale recordings didn’t feel quite right. Because the monsters also emit some sort of electrical frequency disturbed by cochlear implants that the on-screen family’s deaf daughter, Regan (Millicent Simmonds), wears, Aadahl and Van der Ryn realized the noise needed a little zing! After some “play time and experimentation,” as Van der Ryn put it, they landed on a stun gun. Then they shot a grape. “A Quiet Place” was quite a departure for Aadahl and Van der Ryn, whose 13-year partnership includes exceptionally loud projects such as the Transformers franchise. Krasinski’s was the first movie that allowed the duo to incorporate complete digital silence, which they did at three moments in which Regan turns off her cochlear implants. It was during these moments especially that audiences became aware of certain real-life sounds that they might normally ignore — Aadahl and Van der Ryn were pleased by how many publications, including this one, commented on the phenomenon. (Warner Bros. Pictures via AP, File) This image released by Warner Bros. Pictures shows Bradley Cooper, left, and Lady Gaga in a scene from "A Star Is Born." On Tuesday, Jan. 22, 2019, the film was nominated for an Oscar for best picture. The 91st Academy Awards will be held on Feb. 24, 2019. Alan Robert Murray, supervising sound editor on Bradley Cooper’s “A Star Is Born,” used near silence to depict the feelings of isolation country rocker Jackson Maine (Cooper) experiences as a result of his struggles with addiction and tinnitus, a symptom of hearing loss. 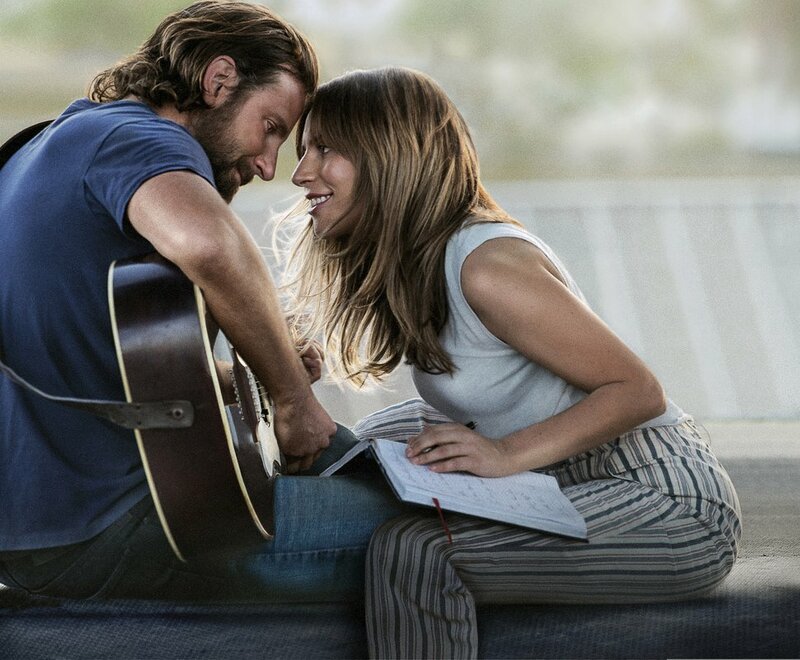 But a healthy portion of the film immerses audiences in loud concert settings, such as when Jackson and Ally (Lady Gaga), the singer-songwriter he discovers and quickly falls in love with, sing “Shallow” together for the first time on an outdoor stage. (Daniel McFadden | Universal) Ryan Gosling as Neil Armstrong in "First Man," directed by filmmaker Damien Chazelle. Ai-Ling Lee and Mildred Iatrou Morgan, supervising sound editors nominated Tuesday for Damien Chazelle’s Neil Armstrong biopic “First Man,” had the astronaut’s legacy to consider. Morgan, who mainly focused on dialogue, knew they had to nail the famous words Armstrong uttered as he walked on the moon: “One small step for man, one giant leap for mankind.” She wound up tweaking Ryan Gosling’s performance to get his pacing and cadence as close as she could to Armstrong’s. “A couple of people have said to me that they thought it was the original,” Morgan said. Because Chazelle wanted audiences to experience this danger viscerally, especially during scenes set in the cockpit, the team explored intense sounds to add to a mix of SpaceX and rocket-launching recordings. It turned out that elephant roars and lion growls, when distorted properly, could heighten tension and draw out emotion in such scenes. The end results were “angry and dangerous and big,” said Lee, who also served as a sound designer and rerecording mixer on the film. Armstrong’s X-15 flight, featured at the start of the movie, incorporates the sound of an animal stampede. “I think most people, including people who work in film, have no idea how much work goes into sound mixing and editing,” Morgan said. That she shares the editing nomination with Lee is significant: Two years ago, after working together on Chazelle’s “La La Land,” they became the first female team to be recognized in a sound category. This year, Lee was also nominated in the mixing category alongside the rest of her team: Jon Taylor, Frank A. Montaño and Mary H. Ellis.